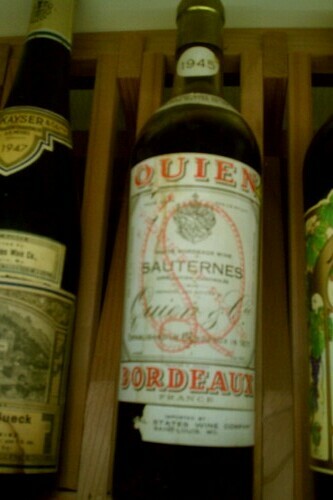 I was hosting a private wine tasting tonight and stumbled across a couple of interesting bottles in the host’s cellar. Kind of blew my mind when I saw them! I love how they sit right next to Dominus and Nickel & Nickel. LOL Very intriguing… would LOVE to try them. Guess it could be worse. They could be sat next to Yellow Tail and Vendange. 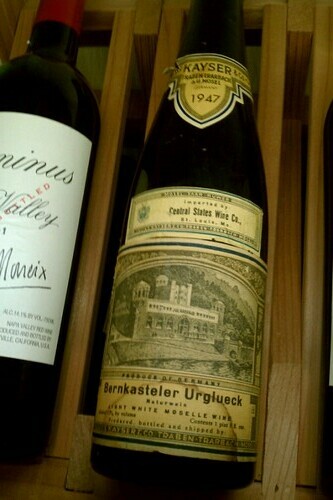 They had 6 bottles of the 1945, her grandfather had brought it back from the war.